I’ve decided that 2018 is the year of the readathons for me! I find them SO much fun to take part in, and even if I don’t get to all the books I just feel so inclusive of the community and motivated to read books!!! I saw Munches in March and knew it sounded like something I wanted to do! It is hosted by Books and Munchies and I can’t wait to take part! This readathon is all month long, and it has a cute little bingo square to go along with it! I am determined to at least complete one line, so we’ll see how we go! Here is the bingo table! My TBR for the readathon is below! I can’t wait to read this and I’ve heard AMAZING things so I have high hopes! An amazing retelling of some of the most well loved stories in history. A new take on the original works of Shakespeare, and just what the literary world needed! I’m back again with a new Top Ten Tuesday! There are SO many books I would love to re-read forever and never get tired of so I can’t wait to share some of them with you – let’s hope I can stop at 10! TTT has actually moved from The Broke and the Bookish now and is actually over at That Artsy Reader Girl so go and check out everyone’s posts over there! #Thriller-A-Thon and #TimeHop-A-Thon Wrap Up! If you didn’t know, I recently took part in the Thriller-A-Thon – a readathon that is focused on getting through some of your most anticipated thrillers, and the TimeHop-A-Thon! If you missed my TBR on these, then you can check them out here (Thriller-A-Thon TBR! & TimeHop-A-Thon TBR!) to compare what I wanted to read, to what I actually read! I wish I’d have been able to read more, but I guess that’s what you get for trying to balance out two readathons during the same time haha! I am still happy with what I read, and I’ll go through in more detail my thoughts on each book in my February wrap up which will be live soon! An emotionally charged book about finding somewhere to belong, the struggle of calling a place home, and the relationship between friends who become family, this is such a standout book I am in awe. In bed! I like relaxing after a long day with a good book! Synopsis: Ella Black seems to live the life most other seventeen-year-olds would kill for . . . Until one day, telling her nothing, her parents whisk her off to Rio de Janeiro. Determined to find out why, Ella takes her chance and searches through their things. And realises her life has been a lie. Her mother and father aren’t hers at all. Unable to comprehend the truth, Ella runs away, to the one place they’ll never think to look – the favelas. But there she learns a terrible secret – the truth about her real parents and their past. And the truth about a mother, desperate for a daughter taken from her seventeen years ago . . The synopsis was interesting and really did intrigue me. I liked how Ella dealt with Bella and how their relationship was written. It was not only interesting about how Bella came to be, but I liked how you could clearly tell the difference between which one was talking at the time. TMI vs TID Book Tag! I’m back with yet another tag, and this one is on one of my favourite series EVER – The Shadowhunter Chronicles!!! I found this on Happily Ever Bookish, so go and check out her post! This tag was created by Samantha’s Books on YouTube and can be found here. As you know I absolutley adore The Infernal Devices series *cough* JEM *cough*, so I couldn’t resist this tag. I am curious as to which one will win here, maybe it will surprise me! Let’s get started! 1. 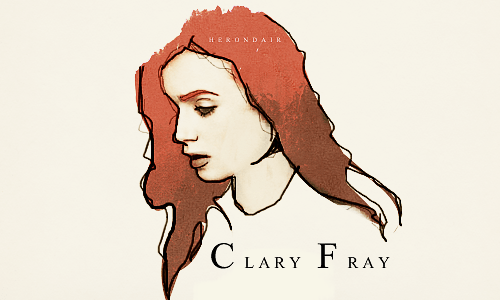 Favorite main character: Clary or Tessa? Okay so I don’t actually know! 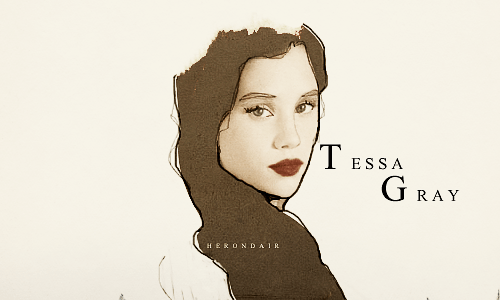 I really love how badass Clary is, but I love Tessa’s morals and how she deals with everything so well, so I’m going to have to cheat and split this one! A magical story about love, loss and belief. An amazing debut novel from a brilliant and upcoming author.